Wiper judder refers to “jumping” wipers that shake/jump/judder when moving over the windscreen. The rubber from the windscreen wiper sticks to the glass surface even though the wiper arm continues to move. The rubber “jumps” over the surface instead of gliding smoothly over the glass. Rubber is a flexible substance that is known for its non-slip type of surface. This makes it very suitable to be used as a windscreen wiper. The flexible material will bend to the shape of the glass and can flex around some types of debris without loosing too much of its effect on wiping the glass clean. It is also very resistant to liquids and chemicals, which is a similar reason why rubber is used for tyres. When this rubber material is dragged over a surface, it’s non-slip properties will cause friction. This friction means a certain amount of force is needed to overcome this friction and move the rubber over the surface. If the surface it is dragged over offers too much friction, and/or the mechanism to move the wiper isn’t strong enough, the rubber will grab onto the surface. When the wiper mechanism tries to continue to move, the rubber is pulled loose from the surface, releasing the build-up tension in the wiper arm. This causes the “jump”. To put it in very simple words: when the wiper tries to drag the rubber over the glass, the wiper-arm isn’t strong enough to overcome the friction between the rubber and the glass, The wiper arm bends a little as it tries to keep moving, which increases to force that pulls on the rubber. Eventually the build-up tension wins and the rubber lets go of the surface. Like a small elastic band, the wiper arms jumps forwards. When a windscreen wiper moves over a wet surface, the liquid will lubricate the surface and help the rubber to glide over the surface. However, due to the use of a glass sealant and/or new wipers, there might not be much water left on the surface. The glass and/or the rubber might be almost completely dry. This means there isn’t much lubrication from the tiny bit of water. It would be like dragging a windscreen wiper over a completely dry glass surface. This causes the high level of friction. An unprotected windscreen will have several types of contamination covering it, these are capable of absorbing water (or other liquids). When the wiper moves over the surface, the glass isn’t completely dry. The little bit of moisture on the surface (thanks to the contamination) will offer enough lubrication to help glide the rubber over the glass surface. Basically, wiper judder is mostly caused by a windscreen wiper and/or glass sealant that are too effective. 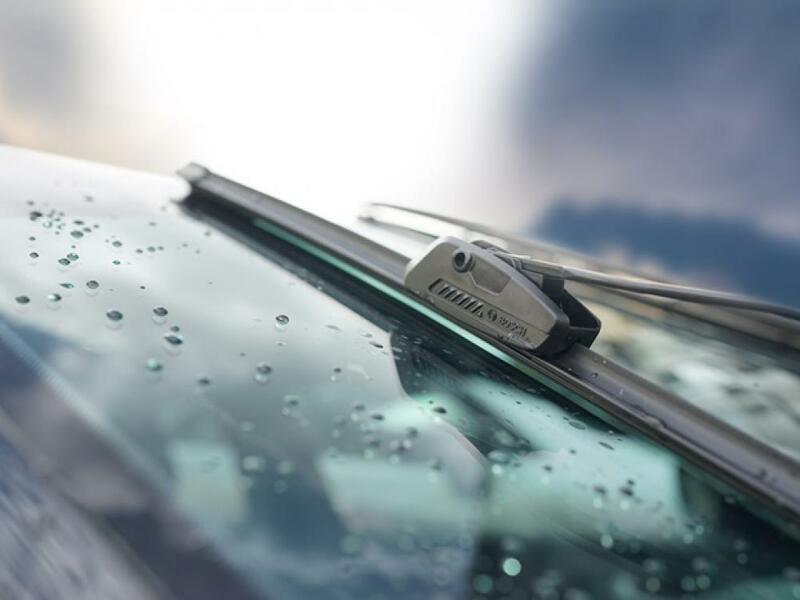 There are a few different reason for wiper judder, although they all come down to the same principle: the level of friction between the rubber and the glass is larger then the force with which the wiper arm moves the wiper. Seeing as its would be illogical to increase the force of energy from the wiper mechanism, it is much more reasonable to search for a solution that decreases the level of friction between the glass and the rubber. When windscreen wipers are new, they are often covered with a very fine mist of powder. This decreases the level of friction until the surface of the rubber is worn a bit. Cheaper manufacturers skip this step and sell their wipers with un-powdered rubber. Fresh rubber often has the tendency to have a very high level of friction due to its natural ability to offer non-slip properties. Even though a glass sealant is designed to “repel” liquids, on a microscopic levels the surface is not smooth at all. In some cases the glass sealant leaves a microscopic collection of “hair-like” structures. The overall surface area of these are smaller then that of a smooth glass surface, making it harder for liquids to get a grip on the surface. This has the downside of potentially increasing the surface friction slightly. In some cases just enough to cause wiper judder. When glass is very dirty, it can have debris and surface contamination that might prevent the wiper from moving smoothly over the surface. A glass cleaner needs to be wiped off properly. When working with a glass cleaner it will generally start out smooth, because of the liquid. After a few wipes it becomes a bit grabby as part of the glass cleaner evaporates. If you keep wiping, the glass will become smooth again as the loosened up dirt and the residue from the glass cleaner is wiped off. Some people skip the last step and don’t wipe off the glass cleaner properly. When there isn’t enough water on the glass, the rubber will be dragged over a dry surface. To prevent this, you could try to only use the windscreen wipers when the screen is wet. This tips should only be used if it has no effect on the safety of the situation. It is safer to suffer from wiper judder, then not to be able to see where you are going. 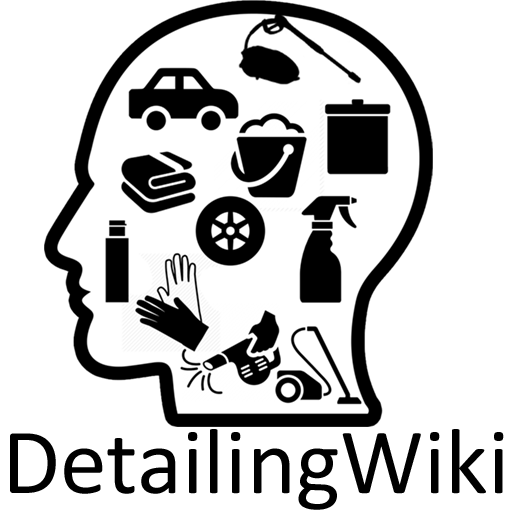 There are several ways to fix the common causes mentioned above. Such as cleaning the wipers, treating the wipers with a glass or rubber sealant, covering the rubber with talcum powder, cleaning the glass again, changing the glass sealant used etc. But in many cases it is much easier to use the following trick: After washing the car, spray a quick detailer over the glass area (when still moderately wet). Then dry the glass like normal with your drying towel. When the glass is clean, spray some quick detailer on the towel or directly onto the wipers, and wipe the rubber from the windscreen wipers. The quick detailer leave a very light layer of oils over the surface of both the glass and the rubber. This will wear off in a few days or weeks, but will decrease the friction enough until the glass sealant and the rubber is worn enough to not suffer from increased friction anymore. This can generally also be done with a sealant instead of a quick detailer, although some sealant are known to have a negative effect on the crystal clear result you achieved with the glass cleaner. Although wiper judder happens regularly when you (re-)apply a glass sealant there is still some confusion and misconception on the subject of wiper judder. In general this isn’t strictly true. In fact, part of the performance of the glass sealant might contribute to the cause of the wiper judder. Although unwanted, it can well be a good indication of its performance. Although this can help, it is only increasing the level of force with which the wipers are moved. It doesn’t solve the cause of the symptoms. Not necessarily true. It can well be that your glass is so clean that water can’t get a grip on it, and the wiper is trying to move over a surface that is so dry that there isn’t enough lubrication. Not necessarily true, it could well be that your wiper is so effective that it is wiping off so much liquid, that it is trying to mover over a surface that is so dry that there isn’t enough lubrication.